Snowboarder Alecsander Barton from Michigan has been killed after triggering an avalanche in Utah Backcountry which officials had warned the public against using after a bout of violent snowstorms. Alecsander Barton, 24, was boarding from the peak of Big Cottonwood Canyon, Utah with two friends when he triggered an avalanche that measured 700 feet wide. It occurred at a time when avalanche danger had been classified as “high” due to heavy snowfall and loose, powdery snow. Alecsander Barton’s two friends – a snowboarder and a skier – were not caught in the snow. 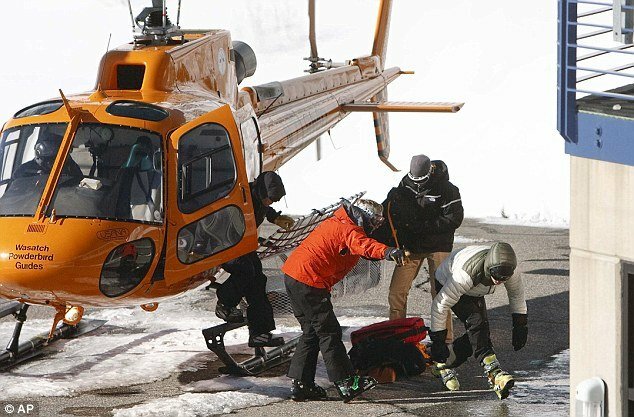 They called 911 and, using beacons, found his body had been carried 2,400 feet by the snow. The snowboarder, who was two days from his 25th birthday, was already dead. “It sounds like they had skinned up the side of the mountain. Once they got to the peak, something happened. An avalanche was triggered,” police lieutenant Justin Hoyal told ABC News 4. Although the men – who all had considerable back country experience – had been equipped with the avalanche beacons, they were still in a dangerous area, police said. “The back country conditions are extremely dangerous,” Justin Hoyal said. Hours earlier, the Utah Avalanche Center had classified the danger level as “considerable”, but the rating was “high” on the upper slopes, meaning human-triggered avalanches were “very likely”. “Avalanche conditions are deceptively tricky,” Craig Gordon of the Utah Avalanche Center told the Deseret News. The Utah Avalanche Center reported that the trio was on the west side of Kessler Peak, in an area known as Little Giant. It said the peak is “surrounded by radical terrain and avalanche paths on all sides” and that the friends had hiked to the peak along one of the paths. Alecsander Barton’s death is the ninth avalanche fatality in the West this season, and experts warn the risk of slides could remain high all winter. It is the second fatal avalanche of the season in the state. On November 13, professional skier Jamie Pierre, 38, was killed in a slide near Snowbird Ski Resort – just a week before it was due to open. Alecsander Barton and Jamie Pierre were both killed after new, heavy snowfall led to avalanche warnings. Experts say a weak base layer of snow, packed with large grains of ice, is causing trouble across Utah, Colorado, Montana and California. They predict such conditions could keep avalanche risks high for the rest of the season.